We tell beginners that one of the best things about CrossFit is that anybody, regardless of their ability or experience, can do it. But sometimes veteran athletes who are used to Rx-ing their WODs need to hear the same reminder. Yes, it’s important to set goals and work hard, but there are certain situations in which modifying or scaling a WOD is the smartest and healthiest option. Whether you’re dealing with a new or recurring injury, first see a healthcare professional who can conduct an assessment and provide you with guidelines for exercising during your recovery. If you’re cleared to work out in some capacity, you don’t have to sit out a whole WOD. The 718 coaches can help you find safe modifications that are still challenging. Isometric exercises can be hugely beneficial for athletes who are dealing with injuries, as they help develop strength, mobility, and stability around a joint without introducing movement. If someone is unable to squat, for example, we may encourage them to try wall sits. We can also recommend eccentric exercises (they improve strength without concentrically loading injured tissues), focus on strengthening an opposing muscle (e.g., subbing in a pushing movement for a pulling movement), or completely swapping one exercise for another. Running aggravating your knee? Hop on a rower. Those Youtube links at the beginning of every workout? They’re for you. Improving (and maintaining) mobility requires time and consistency. 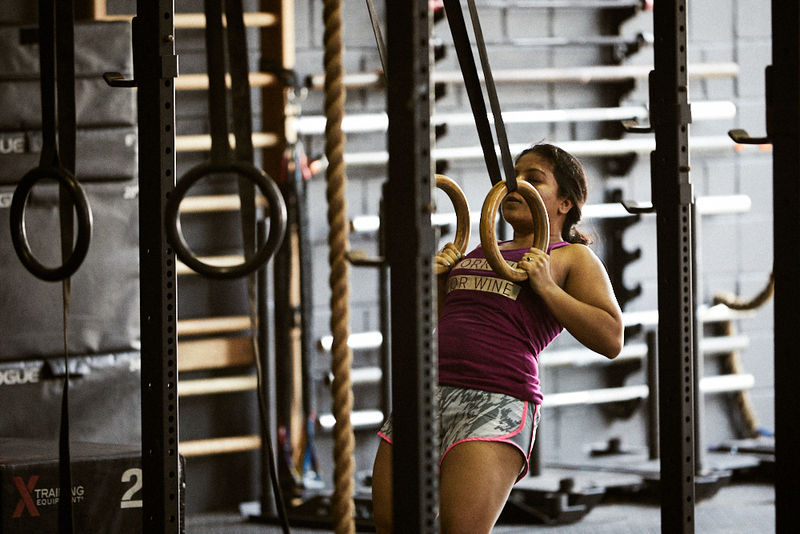 Regularly spending 10-15 minutes on drills before your WOD can make a big difference in your performance. In the meantime, if you lack the full range of motion needed to perform a lift with proper form, you shouldn’t be adding weight to your bar. You can make better use of your time (and avoid injury) by working with your coach to regress or substitute the movement while you work on your mobility. If you’re burning the candle at both ends, feeling run down, or just coming back from an illness, it’s probably not the best time to get after a PR or crush a Hero WOD. Do what you need to do break a sweat without killing yourself –go slower, reduce your reps, swap in simpler movements—and make sure your habits outside the box are as healthy as possible. Focus on nutrition, hydration, and adequate sleep.